Perfect for Wedding, Reception, Ceremony, Marriage, Birthday, Reunion, Bridal, Anniversary, Bar Mitzvah Party, Banquets, Corporate Events, Conferences, Seminar, Conventions. 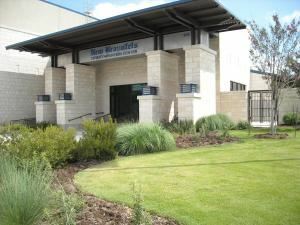 The New Braunfels Civic and Convention Center centrally located between San Antonio and Austin is a 56,000 square foot building made with native stone and surrounded by beautiful landscaping. With an 11,800 square foot column-free Exhibit Hall, 9,300 square foot Ballroom, and 3,500 square feet of Conference Rooms, the Civic and Convention Center can accommodate small to very large groups. The Exhibit Hall seats more than 800 banquet guests or 650 guest for a reception. The Ballroom accommodates 450 for receptions and the flexible Conference Rooms can seat form 30 – 150 guests. The Civic and Convention Center caters to diverse occasions like elegant wedding reception, informal birthday parties, proms, religious services, fashion shows, symphony concerts, trade shows, educational seminars and even the annual Texas Legislative Conference. The New Braunfels Civic and Convention Center is an ideal location for your next event. Perfect Wedding Venue! The Exhibit hall was perfect for my daughters reception. We had over 450 people and there was plenty of room for all the tables and plenty of room for dancing. It can be turned into a beautiful setting. We had chandeliers and drapery from the ceiling and it was just beautiful! I recommend it highly! Historic event venue located just minutes from San Antonio in the quaint little Alsatian town of Castroville, Texas. Venue can accommodate both indoor and outdoor events and offers an onsite courtyard Cantina to compliment any occasion or meeting! Affordable onsite weddings, receptions, bridal and baby showers, retirements and other celebrations! Gruene Homestead Inn is a distinctive bed and breakfast style lodging facility located in New Braunfels, Texas, just outside of the Gruene Historical Disrict. A great alternative to a hotel, this country inn is a collection of historic farm houses located on eight acres of an original German homestead. Innkeepers Ed and Billie Miles have maintained the estate's historical integrity by relocating and restoring old homes from the area. Guests experience the essence of a bygone era while lodging in one of the 22 individually designed and decorated rooms and suites that have been outfitted with modern conveniences.